Flu season has begun in Minnesota with the state health department reporting two hospitalizations for the week ending Oct. 6. 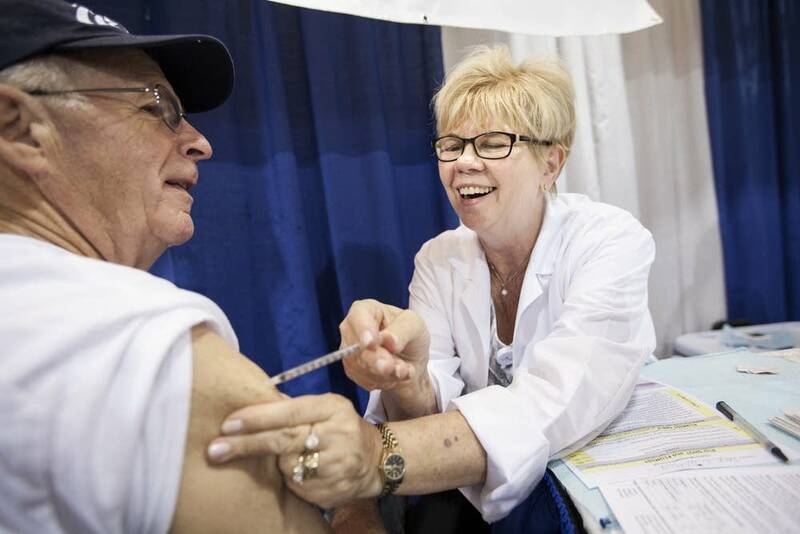 Minnesota health officials hope it will be easier to convince more people to get immunized this year following a spike in influenza cases last year. They don't have to persuade 71-year-old Terolle Turnham of Eagan. She forgot to get a flu shot last year — but not this year. "I don't like to watch the injection, but I'm not worried about the pain. It's such a momentary thing," Turnham said in an examination room at a Fairview Health Services clinic. Turnham is retired after teaching music in elementary school, and said she is well aware of the sweeping public health benefits of vaccination. She's not getting the shot just for herself; she sees it as her civic duty. "We're kind of responsible to one another to limit disease and when we have an opportunity to limit disease by injections such as flu shots, we invest in the whole world of public health. So it's not only good for us as individuals but it's good for our community as well." Turnham is singing a public health refrain in perfect pitch. That's exactly the message state health officials stress. It's rooted in the idea of herd immunity — the more people who are protected, the less likely the virus will spread, the fewer people will get sick and potentially succumb to the disease. "We're kind of a broken record about the value of influenza vaccination and I know it probably gets tiring for the public but the bottom line is, it's an important vaccine," said Kris Ehresmann, who leads the Minnesota Department of Health's infectious disease division. "The disease comes every year. It can be devastating and we'd just as soon minimize the impact." Unlike many other vaccinations, flu immunization is far from 100 percent effective. Each season vaccine protection ranges from about 40 to 60 percent Ehresmann said. Still, it helps to get vaccinated and it's critical for high-risk populations including infants and the elderly. "Getting vaccinated will mean you'll be less likely to develop influenza, and, if you do, you'll be less likely to have severe influenza," she said. Last flu season, Minnesota hospitals admitted 6,446 patients because of influenza complications. There's good news this flu season for people who are uncomfortable with shots but who want to get the flu vaccine, said Fairview Clinics — Eagan medical director Dr. Adam Foss. The nasal mist is available again, and more effective. 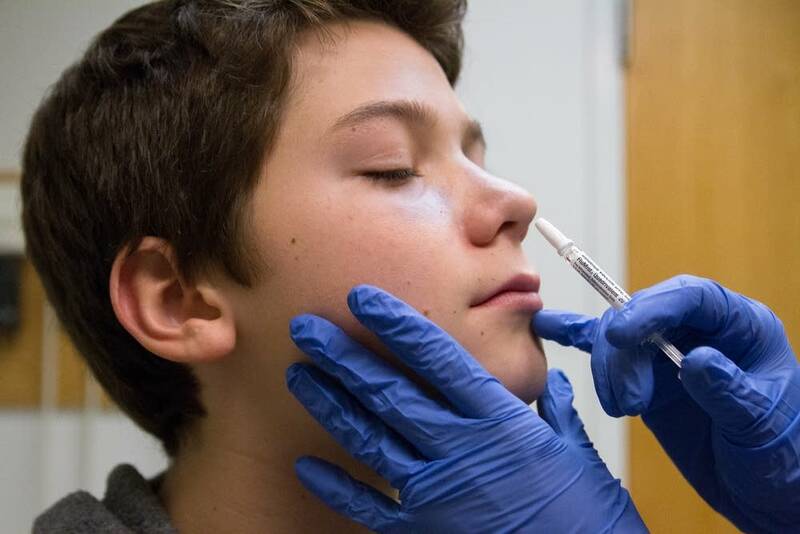 "It was off the market last flu season, which I know a lot of my pediatric patients were not quite pleased about, ... but the nasal is back this year. There are certain requirements though that you have to meet to get that one," Foss said. The nasal spray is only for people between the ages of 2 and 50. People with asthma or compromised immune systems should get the vaccine shot over the nasal spray, Foss said. Newly published research from Kaiser Permanente found flu vaccine effectiveness diminishes over the course of the flu season. But researchers stress that people should not delay vaccination in an attempt to time it closer to a full-blown flu outbreak. So how bad will the 2018-19 flu season be? "We don't have a crystal ball for identifying what the season will be like," Ehresmann said. "But we do have crystal ball in that we know that if you get vaccinated, it will be a better season for you than if you don't."